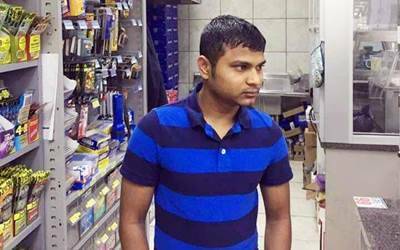 ATLANTA, GA — A 24-year-old man from Sundher village in Patan, Sameer Hasmukh Patel, was shot at in a departmental store late on June 12 night in Atlanta. Sameer was closing the store when two unknown persons barged into the store and shot at him and fled with the cash chest. He was rushed to a nearby hospital, but his condition was critical when family members spoke to his friends next day early morning. Said Sameer’s uncle Arvind Patel: "Sameer went to Atlanta three years ago to work at a departmental store and search for opportunities for his family members."